Wage theft, sexual harassment, illegal termination, and more – we can't let McDonald's get away with it any longer. Tell the National Labor Relations Board that McDonald's MUST take responsibility for its workers. Make sure to add a comment explaining why this issue is important to you! Workers need our voices now. McDonald’s has failed to stop sexual harassment in its stores. They’ve illegally harassed and intimidated workers for fighting for $15 and union rights. And they’ve been caught committing wage theft against their own employees. Now they’re trying to get away with it. For several years, we’ve been pressing McDonald’s in court to get them to finally take responsibility for their workers — and winning. But now, under the leadership of the Trump administration, the National Labor Relations Board is colluding with McDonald’s to fix the outcome in their favor. They want to change the law to avoid responsibility for what happens to employees in their stores. 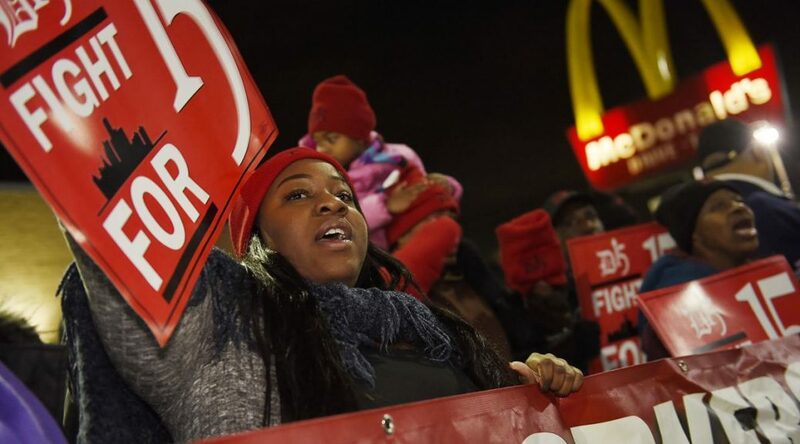 The NLRB just announced a 60-day comment period for the public to weigh in on the issue of “joint employer” — and we can’t let them get away with rigging the outcome in favor of huge corporations like McDonald’s. We MUST rise up and use our voices now. Simply put, companies like McDonald’s control every aspect of their business, from the uniforms workers wear to the design on the napkins, but they want a get out of jail free card from Trump’s NLRB declaring they aren’t responsible for what happens to workers. You don’t need to know anything about “joint employer” or labor law to understand that workers will be hurt and McDonald’s comes out smelling like a rose in this deal. Add your name to demand the National Labor Relations Board make McDonald’s take responsibility for its employees. Submit a comment now to demand the rule be withdrawn.